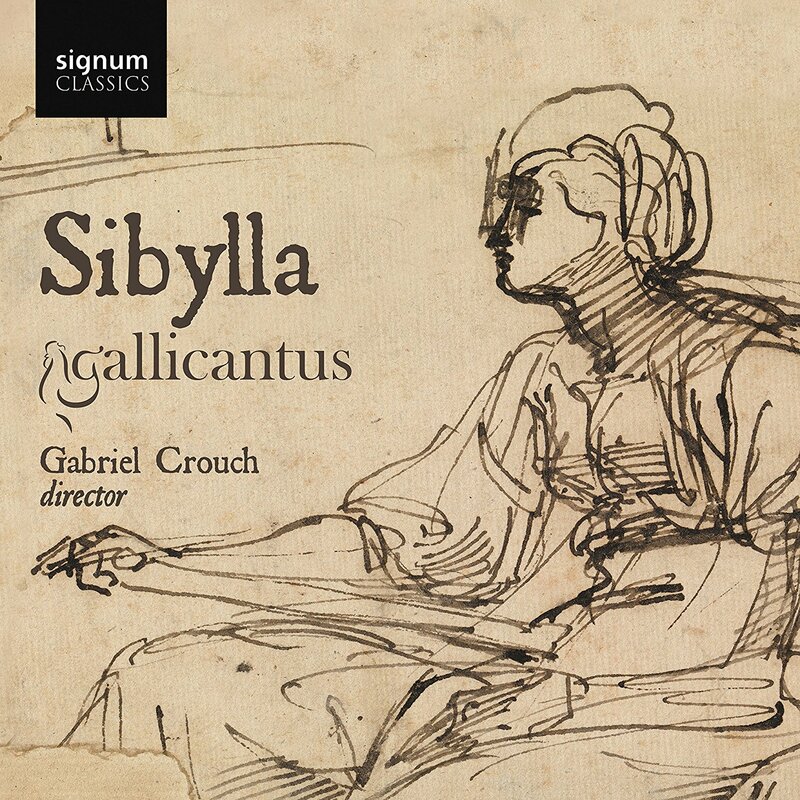 This enterprising disc on Signum Records combines Orlandus Lassus' complete Prophetiae Sibyllarum with settings of a modern set of Sibylline poems by the composer Dmitri Tymoczko, along with a pair of works by the sibyl of the Rhine, Hildegard of Bingen. The performers are the six men of Gallicantus, artistic director Gabriel Crouch. Lassus' Prophetiae Sibyllarum is an early work, it was probably written in Italy and seems to have been presented to Duke Albrecht of Bavaria when Lassus joined his service in 1556. The piece consists of a prologue and settings of twelve Latin poems, each attributed to a different sibyl and each looking forward to the coming of Christ. Though the sibylline prophecies were used by the church, this is hardly sacred music and is very much in the madrigal style. Lassus' writing is highly chromatic with daringly shifting harmonies, and it is clear that his contacts in Italy must have included Cipriano de Rore and Nicola Vincentine, both of them known for their daring experiments with harmony. Lassus exploits the sort of sudden harmonic juxtapositions and shifts which are familiar from Gesualdo's writing. The sibyls in Jeff Dolven's six poems, set by the American composer Dmitri Tymoczko, seem to be predicting statistical disaster rather than looking forward to Christ. The texts, in English, are just as sphinx-like as their earlier Latin predecessors. Tymoczko's style is highly contrasting to that of Lassus, but still using the same sense of polyphony and madrigal, with juxtapositions which owe more to post-modern techniques than experiments in Renaissance harmony, but still seem to have links. Lassus' piece is a dense one, and difficult to bring off. The men of Gallicantus move easily between the different styles of the movements, and allow the harmonies to slip, shift and metamorphose with beautifully expressive ease. The placing of the notes is beautifully done, but more than that they bring a real expressivity to the music. You feel that they have lived with this music for a while and are able to get beyond the simple challenge of performing it accurately. The gift was a personal one from Lassus to the Duke, so would probably have been performed by just such a small vocal ensemble, intimate, personal and highly expressive. The disc arose from a graduate class at Princeton University where the students studied Lassus' piece and then wrote their own responses. In October 2015, Gallicantus performed these student responses alongside those of two professors, Dmitri Tymoczko and Dan Trueman. So what we have on this disc is a partial reflecton of this project, the complete Lassus, the complete Tymoczko settings plus Elliot Cole's rather lovely 'I saw you under the fig tree' from his Visions, one of the eight student responses to the Lassus. This is not an everyday disc, but it is a fascinating exploration of one of those pieces of music which are better known by reputation than from experience in performing. Recorded in St Michael's Church, Highgate London, 24-26 October 2016.